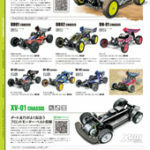 It is issued by Tamiya RC guidebook Vol.8 was posted with carefully selected major RC model of Tamiya. Buggy not anywhere to run, action full of running is fun comical model, high-speed running is attractive touring car and formula car, of the finished model trailer trucks and tank of big size is impressive, and ran right out of the box to enjoy XB , such as a compact RC car “Star unit” series that runs on batteries, once published a major RC model of Tamiya. New product of attention that has been presented at the 2016 September of Hobby Show was also posted. QR code also popular print. 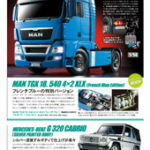 If the jump in Tamiya home page using a smart phone or mobile phone, you can also enjoy the RC of the moving image. 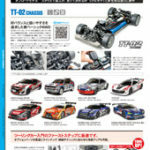 Others, in the RC Start Guide introduced the “Tri-!! Tamiya RC School ! 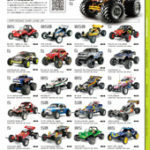 !” to learn while having fun in parent and child from the production of the kit RC cars to maneuver method. 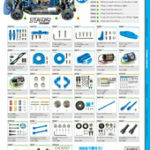 Of course, the chassis-specific parts list for the performance up, such as the guidance of the participants race, even pages that now serves as a reference of the fans to start the RC enhancement. 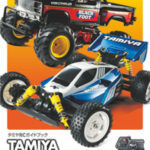 At the end of the whole country and hobby shops, it was also guided Tamiya RC circuit. All color A4 size, hearty all 38 pages. This entry was posted in Future Releases, Media on September 29, 2016 by admin. When will we see the new Volvo shape come out all the others are up to date?? That as well as the Hotshot II with its original silver box art -as it was how it was. in Interview with the Vampire movie -never bettered -so always keep the originals!! 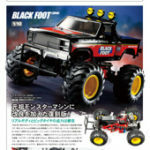 No one else can play those roles better and no one made better RC cars than Tamiya. So true.